Its purchase by Hytera Communications was approved earlier this month, after a routine security analysis. Justin Trudeau rejected the criticism about his government's handling of the case. 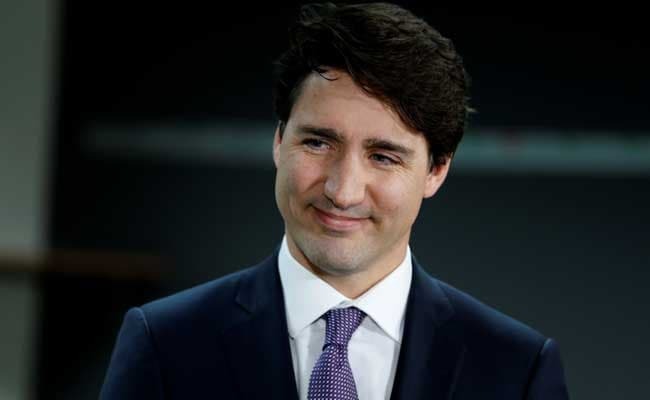 Ottawa, Canada: Pressure ratcheted up Tuesday on Prime Minister Justin Trudeau's government to effectively deny a Chinese firm's purchase of Canadian satellite communications company Norsat, over national security concerns. But since then, opposition parties, two former Canadian spy masters and a US congressional commission have raised concerns over the sale, which was put on hold Monday after a US hedge fund came forward with an unsolicited rival bid. The purchase of Norsat became the main topic of discussion in parliament over the past week, culminating Tuesday with Trudeau himself rejecting criticism about his government's handling of the case and refusing to back down. "Our national security experts assessed the deal and the technology, and concluded there were no national security concerns," he said. "We always follow the advice of our security experts on these matters. "On top of that," he added, "we do consult with our allies, and in this case, directly consulted with the United States on this situation." Opposition parties accused the Trudeau government of fast-tracking approvals in order to curry favor with Beijing as Ottawa looks to expand trade with China. They called for a more thorough national security review on the impacts of the transfer of Norsat's technologies outside Canada. "How can the prime minister claim there were no national security concerns when there has been no national security review?" asked New Democratic Party leader Thomas Mulcair, accusing Trudeau of "trying to invent a new category of careful assessment." Beijing has said it regards national security reviews as a form of protectionism. On Monday, the head of the congressional US-China Economic and Security Review Commission told The Globe and Mail newspaper that "Canada's approval of the sale of Norsat to a Chinese entity raises significant national-security concerns for the United States as the company is a supplier to our military. "Canada may be willing to jeopardize its own security interests to gain favor with China," he said, adding it should not put the security of its ally at risk in the process. Norsat's customers include the US, Irish, Scandinavian and Taiwanese militaries, NATO, aircraft manufacturer Boeing, and media firms Reuters, The Associated Press and Fox News. At the same time, Norsat's board has asked Hytera to match an US$11.50 per share bid by Privet Fund Management of Atlanta or it will accept Privet's offer.